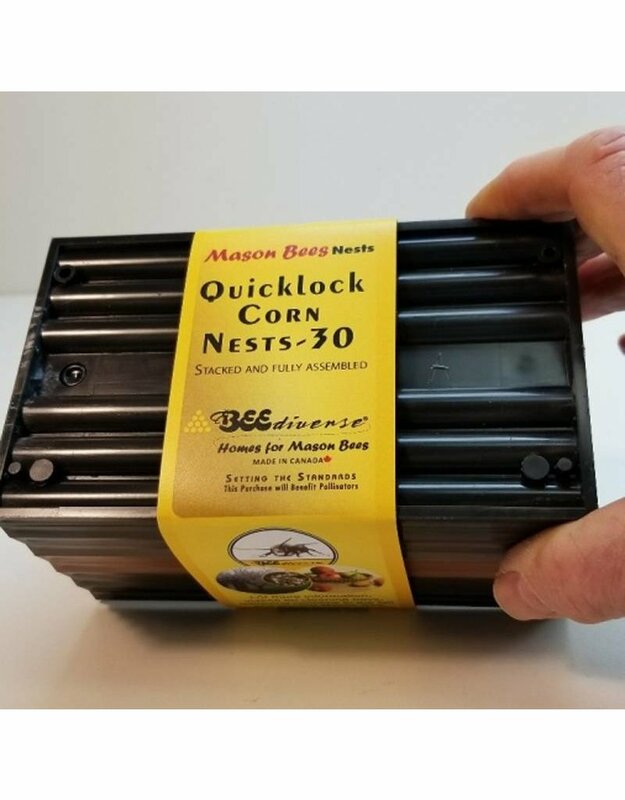 These rugged nesting trays are made of environmentally friendly corn based resin that stack to create 30 nesting tunnels - just the right number to start your Mason Bee population. 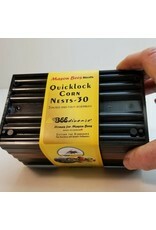 The biggest advantage of these corn nesting trays is that they are re-useable over many years and that they can be thoroughly cleaned free of bacterial and fungal diseases. 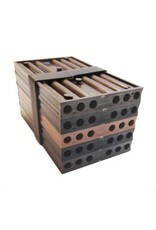 The shades and colors of these Quicklock nesting trays assist mason bees in finding their nesting tunnels. 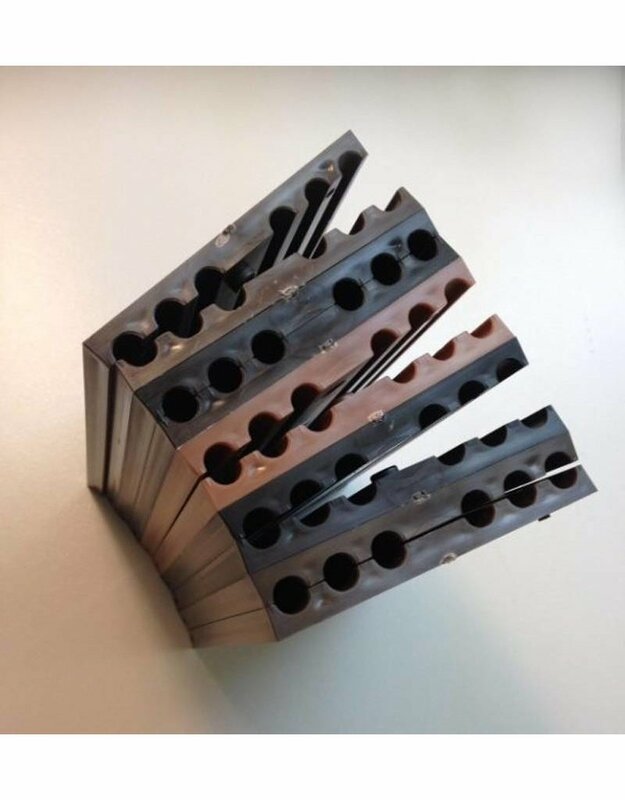 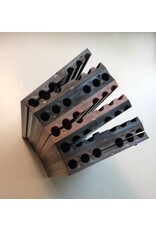 Our Quicklock nesting trays have matching grooves. 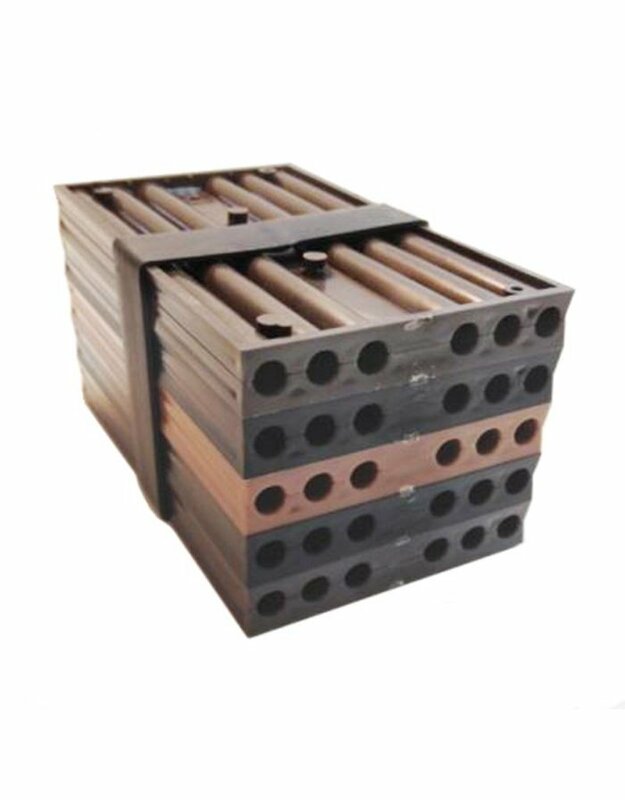 When paired and stacked, the trays form nesting tunnels 7.5 mm or 5/16 of an inch in diameter – the optimum size that mason bees prefer.